The list of books that have truly, truly moved and haunted me is small- off the top of my head I can only think of two, and Eve Green is one of them. It was Susan Fletcher’s first novel and I’ve always liked first novels- it’s the first time your inked voice is out there in the world. 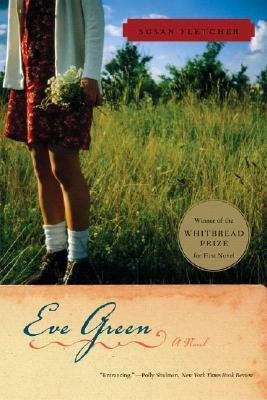 EVE GREEN is rather memoir style- told by Eve as she is waiting for her baby to be born. She thinks back and remembers the death of her mother and how to she came to a small town in Wales. There is an abduction and mystery and death and fears, all told in some of the most gorgeous and lyrical language I have ever read. It is profound and haunting and beautiful, a book that I read slowly, savoring every word. My favorite aspect are the details and memories that Eve has. Susan Fletcher writes the smallest little things into extraordinary vignettes. I don’t know how to explain them- they are just something you have to read for yourself. This story makes me feel like windswept hills, flowers, tea, and tears- if I had to try to explain how it is. It is a truly beautiful redemptive and coming of age story, told by an author I can’t wait to read more of when I have the chance.